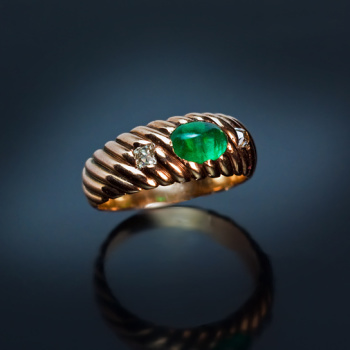 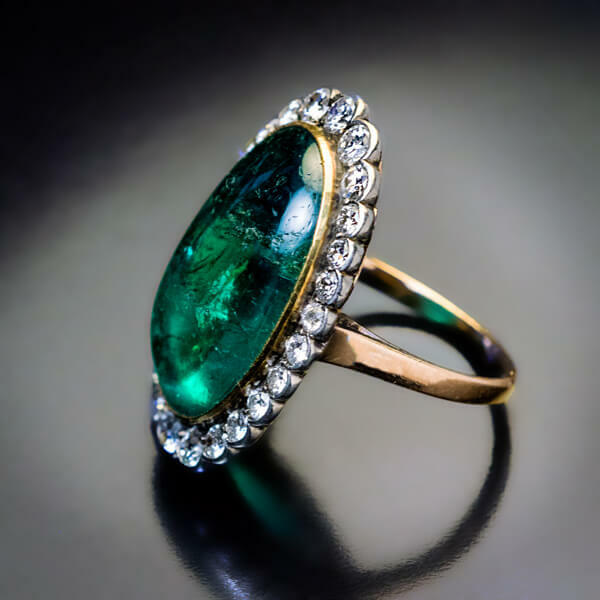 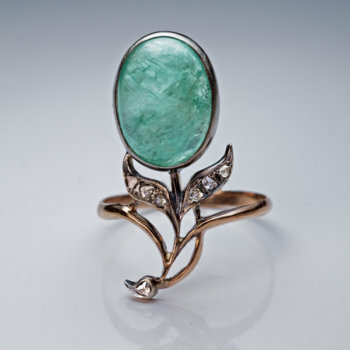 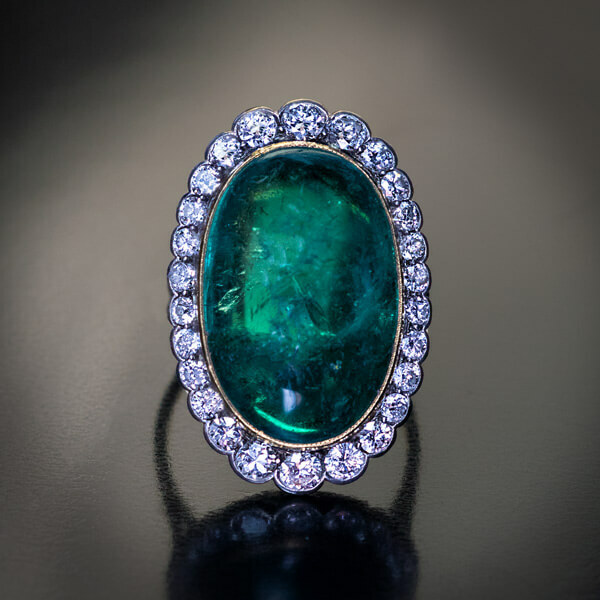 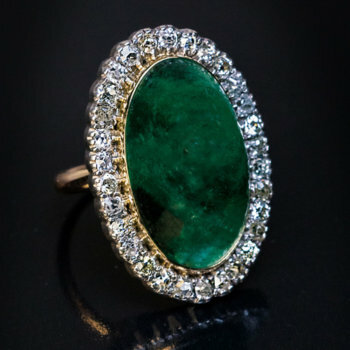 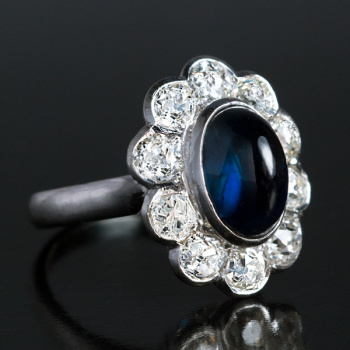 A handcrafted silver-topped 14K gold ring is bezel-set with a large Colombian cabochon cut emerald measuring 20.7 x 13.5 x 7.32 mm (approximately 15.30 ct) framed by old and modern cut brilliant diamonds. 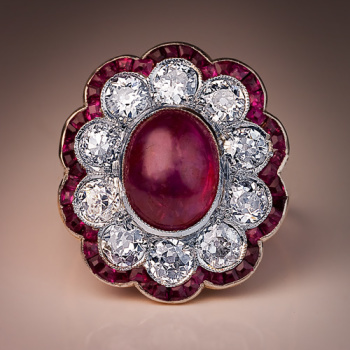 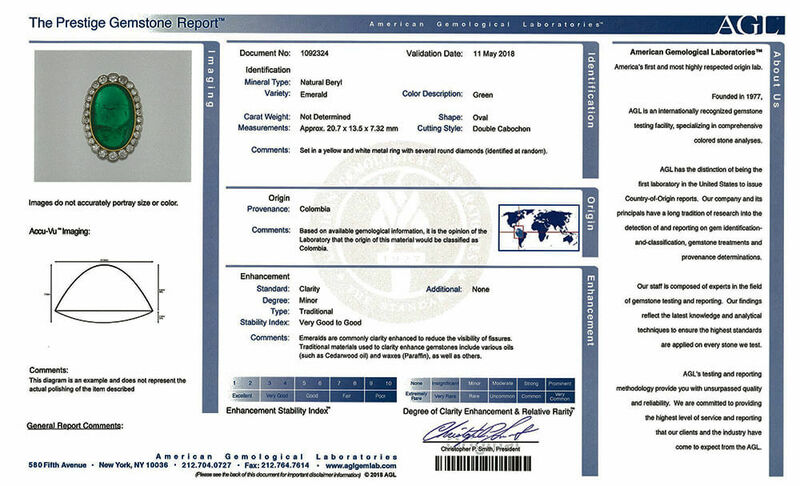 Estimated total diamond weight is 1.60 ct. 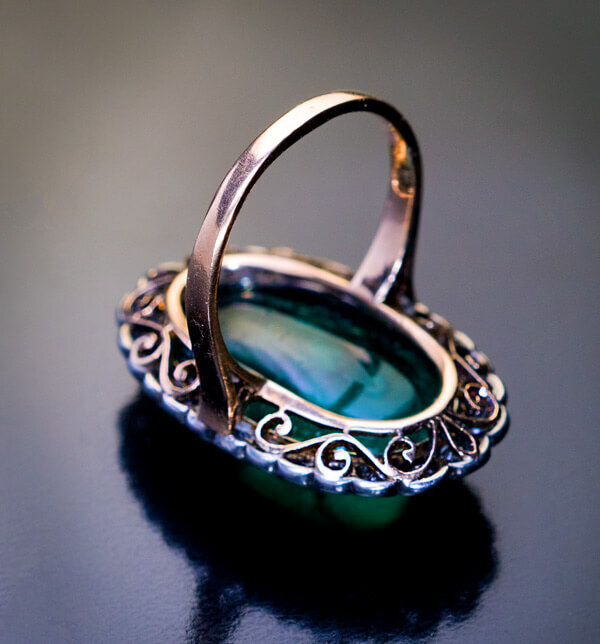 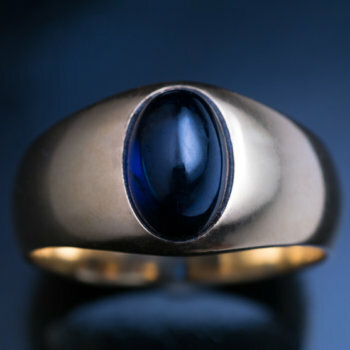 The ring comes with AGL Prestige Gemstone Report No. 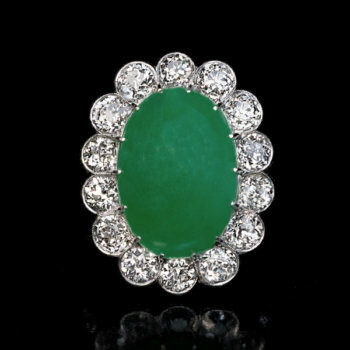 1092324 for the emerald.